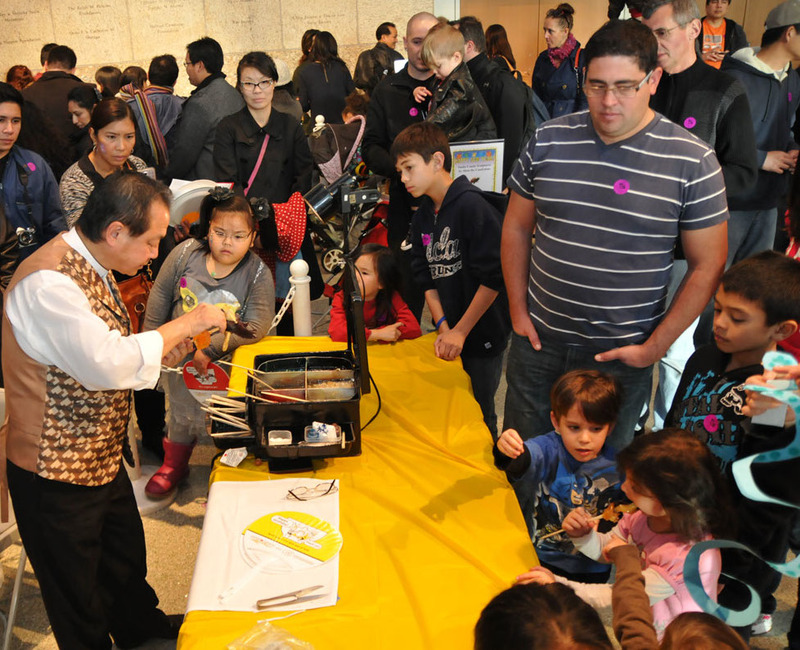 For several years, Ruthie’s Origami Corner has been a popular fixture at JANM, whether as its own standalone event or as part of larger events like Target Free Saturdays and Oshogatsu Family Festival. Visitors young and old have benefited from Ruthie Kitagawa’s gentle guidance as she leads them in making unique origami items to commemorate every occasion. 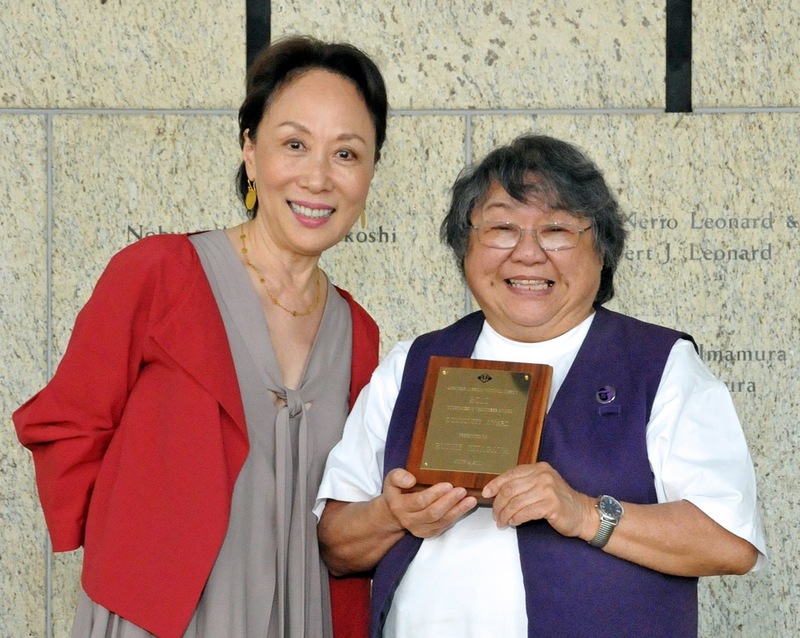 A longtime JANM volunteer, Ruthie is a native Angeleno who spent part of her childhood imprisoned at Santa Anita Assembly Center and Amache Relocation Center. She has had an interest in arts and crafts for as long as she can remember; while still in high school, she volunteered to teach a class for the Boys and Girls Club. Ruthie did not discover origami until later in life, and she admits that at first, she was not very good at it. Her initial experience with the craft occurred during preparations for her brother’s wedding in 1992, when she assisted in folding hundreds of gold foil cranes. She remembers with good humor that her cranes wound up on the reception tables, hidden behind floral arrangements, and that she was not invited to help with her sister’s wedding decorations two years later. Shortly after her brother’s wedding, Ruthie’s older sister Lois—a dedicated JANM volunteer—encouraged her to take origami classes at the museum. Under the tutelage of Ryoko Shibata, who taught the origami classes at that time, Ruthie dedicated herself to improving her skills, which steadily blossomed. At the same time, she began volunteering at JANM as a docent and a Hirasaki National Resource Center assistant. Shibata Sensei eventually asked Ruthie to be her assistant in the origami classes, which Ruthie then took over when Shibata retired. in recognition of her services as a volunteer. Sadly, Ruthie’s older sister passed away in 1998. Ruthie credits Lois—who was an avid origami practitioner—and JANM with inspiring her passion for the art form. 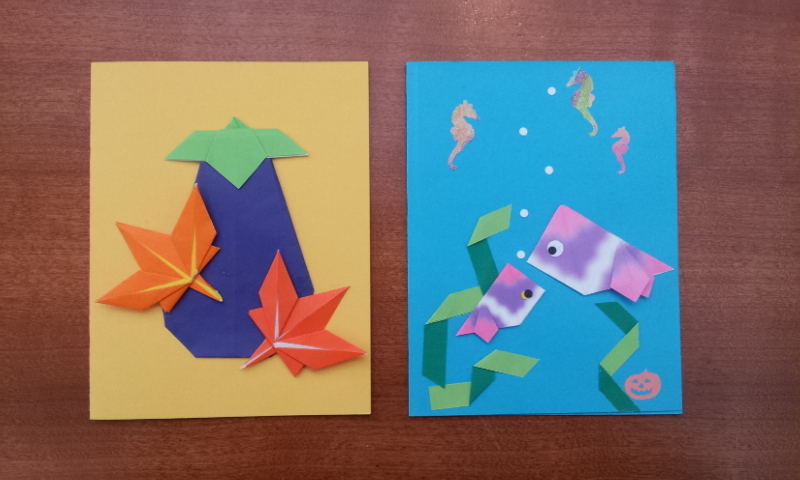 Today, Ruthie applies a creative approach to her origami practice, often adding her own unique flourishes to designs she finds in books. Read more about Ruthie’s life story on Discover Nikkei. To meet Ruthie in person, come to Target Free Family Saturday this weekend, where she will be teaching participants to make a unique holiday ornament. Ruthie will also lead a Year of the Sheep origami workshop at our Oshogatsu Family Festival on January 4. JANM has commissioned a new mural to be painted on the north wall of the museum’s National Center for the Preservation of Democracy. Titled Moon Beholders, the mural is designed by artist, author, and illustrator Katie Yamasaki. Based in Brooklyn, Yamasaki has painted more than 60 murals around the world. JANM visitors may know her as the author and illustrator of Fish for Jimmy, a children’s book that she read from at a Target Free Family Saturday event this past June. 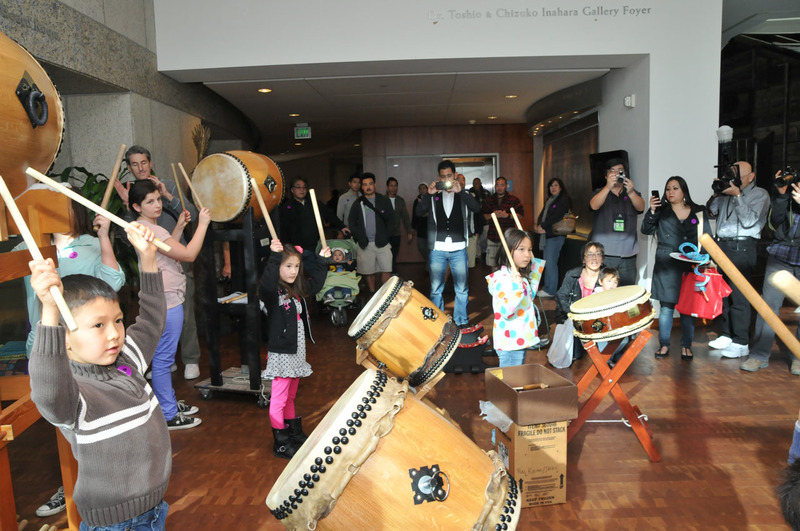 Moon Beholders is intended to evoke various contemporary and historic concepts within Japanese American culture while connecting with the community around the museum. Against a bright gold background, a smiling young girl lies clothed in a variety of furoshiki—traditional cloths long used to preserve, protect, and transport items. The pattern and color on each furoshiki represents a unique moment in Japanese American history, such as a pale blue sky covered in yellow barbed wire symbolizing the WWII incarceration camps. As part of the next Target Free Family Saturday on November 8, the public is invited to help the artist complete the Moon Beholders mural. Between the hours of 11 a.m. and 3 p.m., adults and children alike can sign up to paint for 30-minute intervals; up to 12 individuals can paint per interval. Participants should wear closed-toe shoes and other attire appropriate for an exterior painting project. The artist will be on hand to provide guidance. 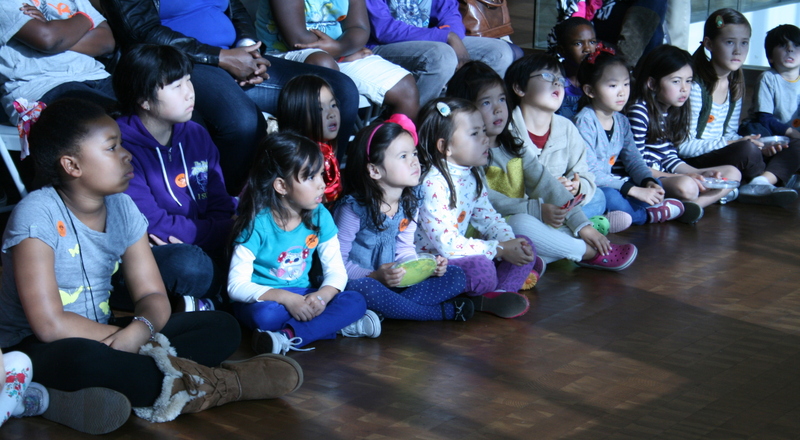 Come to JANM this Saturday and become your own moon beholder! In addition to mural painting, the museum will be offering a variety of fun, hands-on activities to engage the whole family. For a complete schedule, visit janm.org/target. 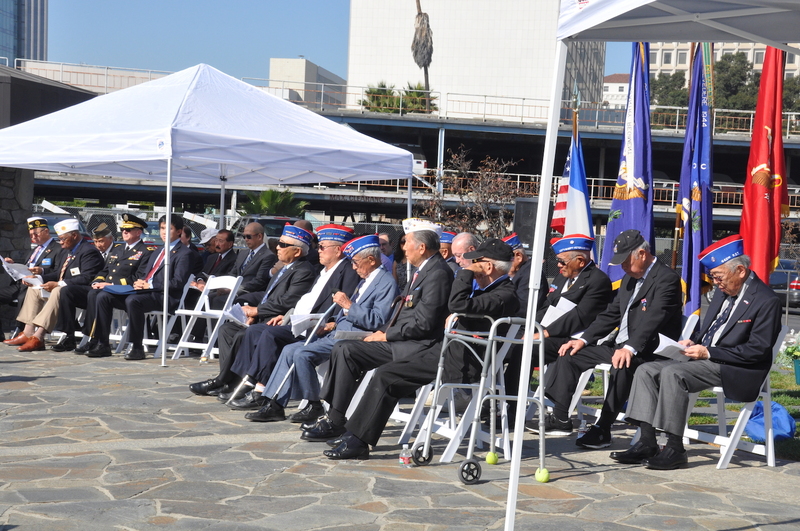 The Japanese American National Museum has once again been nominated in L.A. Downtown News’ 2014 Best of Downtown contest! We’re nominated in 2 categories: Best Museum and Best Family Attraction for our Target Free Family Saturdays. Help us win by going to votebestof.com and following the instructions to vote. Voting is open until May 30, 2014. KoAloha Ukulele is coming from Hawaii on Saturday, February 8 to lead performances, workshops, crafts, and all things ukulele at our next Target Free Family Saturday. It’s FREE all day! 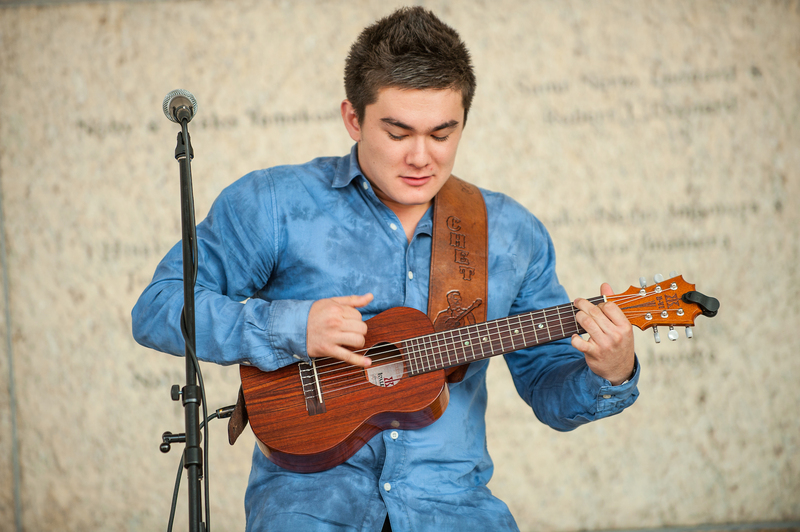 Bring your own ukulele to learn basic and intermediate ukulele with Brian Benevente of KoAloha Ukulele and other KoAloha artist partners (11:15am/12:15pm/1:15pm/2:15pm). The little ones will enjoy strum-along and sing-along workshops with George “Gibi” del Barrio as “Abba Geebz” (Grandpa Geebz) at 11:30am, 12:45pm, and 1:45pm. 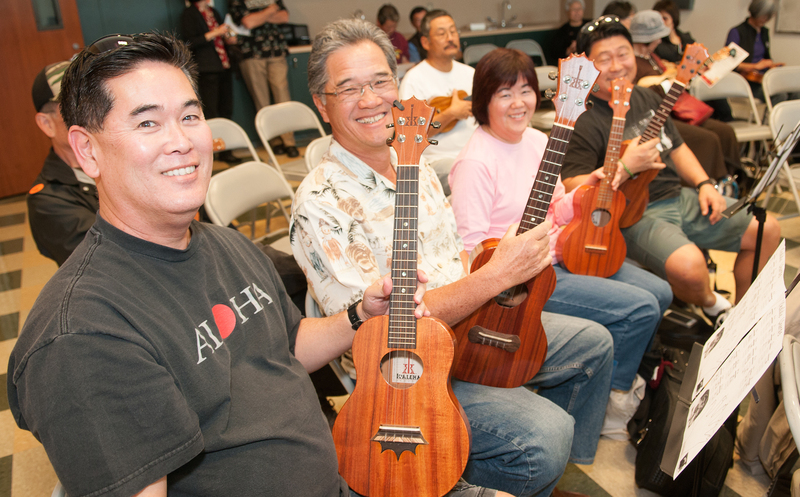 If you don’t have your own ukulele, Anacapa Ukulele will be on-site selling instruments! 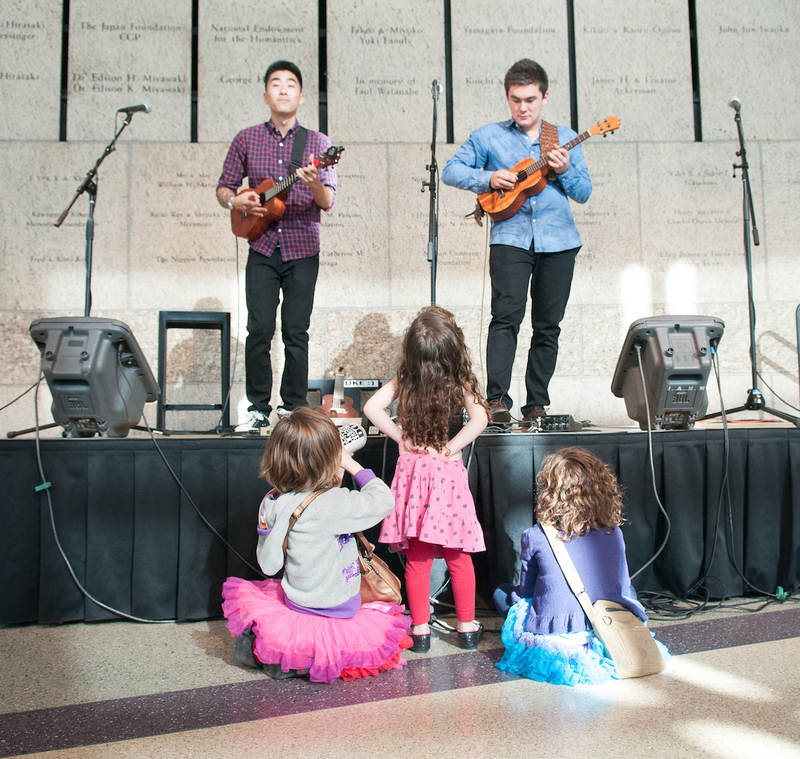 There will be solo performances by spectacular ukulele performers Tj Mayeshiro, Jason Arimoto, and Ryo Montgomery at 11:30am, 1pm, and 2:30pm. Plus an All-Star jam finale at 3:30pm with all three performers. Plus, screenings of award-winning films: My KoAloha Story at 11:30am and The Haumana at 1:30pm; make your own candy leis; send an aloha to someone special by making a valentine with a bit of a Hawaiian touch; and fold an origami Hawaiian canoe. For complete schedule, visit janm.org/target. JANM’s Winter Wonderland-themed Target Free Family Saturdays event on December 14, was jam-packed with holiday activities! 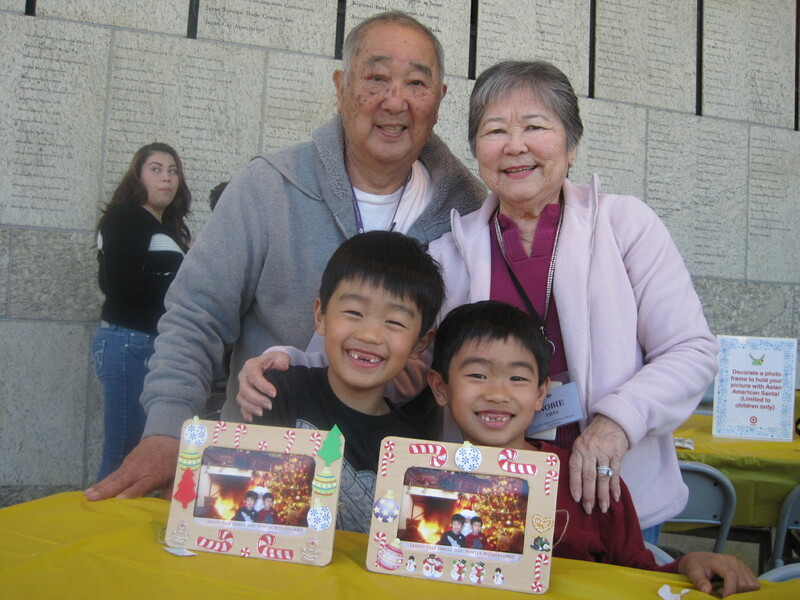 From taking pictures with Asian American Santa, decorating picture frames, making a cereal snack, taking a ride on a horse-drawn carriage, and enjoying a kamishibai winter-time story, our guests were able to get into the holiday spirit! 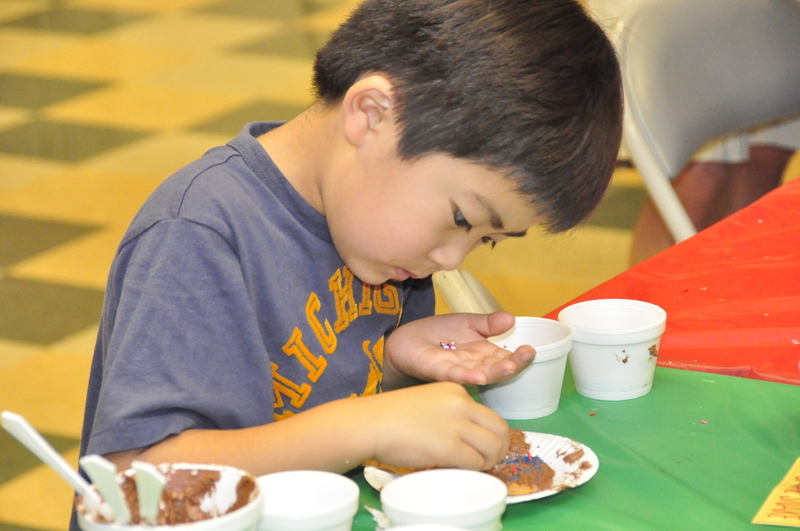 Guests were able to create a tiny winter wonderland to fill with seasonal cheer. 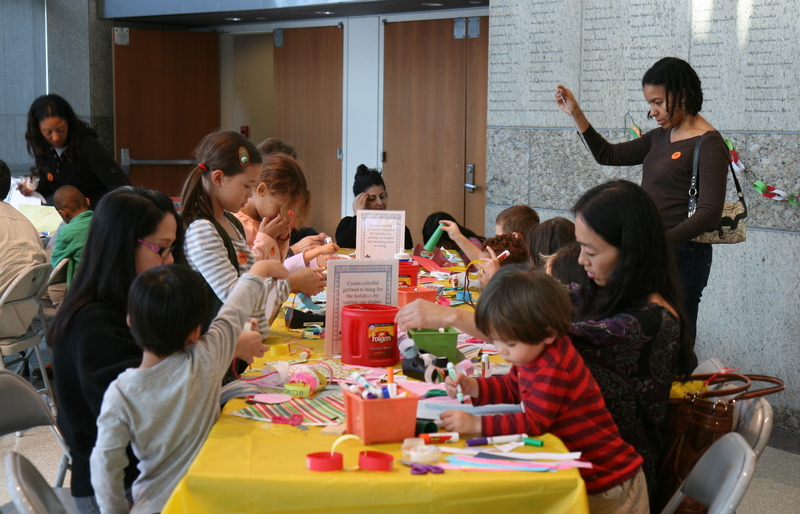 The whole family comes to enjoy free holiday crafts and activities. Guests learn how to fold paper into a reindeer in Ruthie’s Origami Corner. Kidding Around the Kitchen provides ingredients to create your own healthy cereal mix. Guests take a special tour of JANM’s newest exhibition, “Go For Broke” with Dr. Lily Anne Welty. Children and parents pose for a holiday photo with Asian American Santa. Our guests pose for a photo with their pictures with Asian American Santa. Adding a personal touch to holiday pictures frames. A horse-drawn carriage provided rides through the plaza! “Star in a Glass Jar” is a winter-time story performed through kamishibai (paper drama), a Japanese art form of storytelling. After watching “Star in a Glass Jar,” guests cut out their own puppet like the one used in the kamishibai. 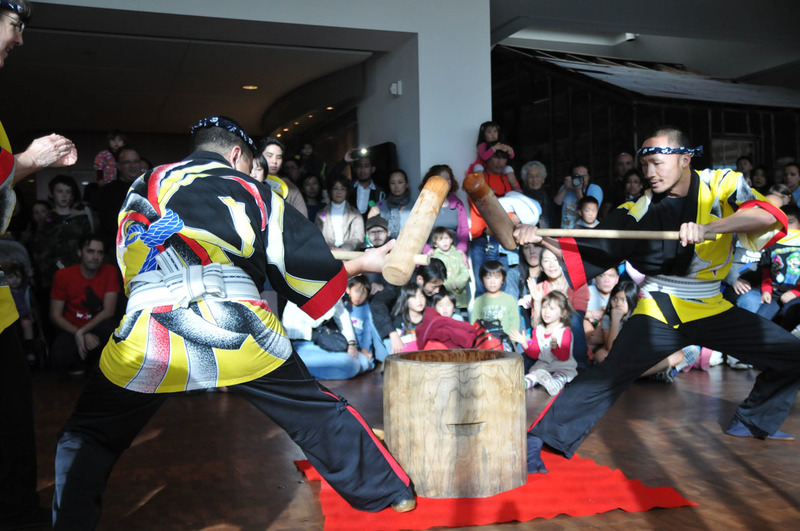 If you like food, cultural activities, and entertainment, mark your calendar for JANM’s annual Oshogatsu Family Festival, coming up on Sunday, January 5, 2014 from 11AM – 5PM! It’s FREE ALL DAY! Photo Credits: Tsuneo Takasugi, Caroline Jung, and Esther Shin. “Winter Wonderland” Target Free Family Saturday on December 14th! 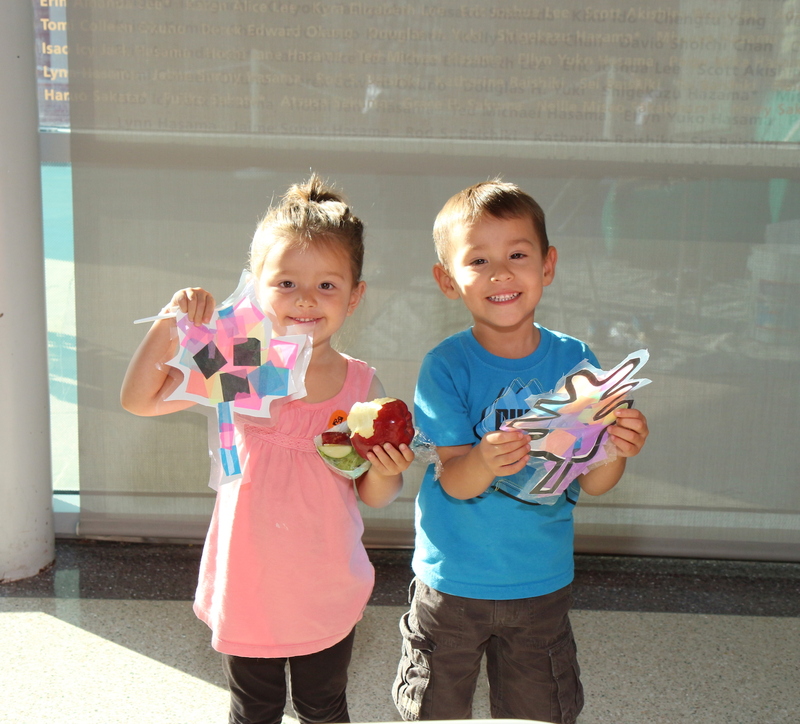 Visit JANM for a winter-themed Target FREE Family Saturdays event on December 14th, from 11AM to 4PM! All day activities include: decorating a holiday picture frame; constructing a tiny winter wonderland to fill with seasonal cheer, and folding a winter reindeer in Ruthie’s Origami Corner. From 11AM to 2PM join Kidding Around the Kitchen for a simple, yet delicious, Winter Wonderland cereal mix that will make a delicious snack as well as a fun home-made present the kids will be so proud to give away to family, friends, and teachers alike. From 12PM to 2PM take a picture with Asian American Santa Claus, and don’t forget to let him know what you want for Christmas! From 12:30PM to 2:30PM join a guided tour of JANM’s latest exhibition, Go For Broke: Japanese American Soldiers Fighting on Two Fronts (on view through March 2, 2014). From 1PM to 3PM enjoy a ride on a horse-drawn carriage that will be fun for the whole family! 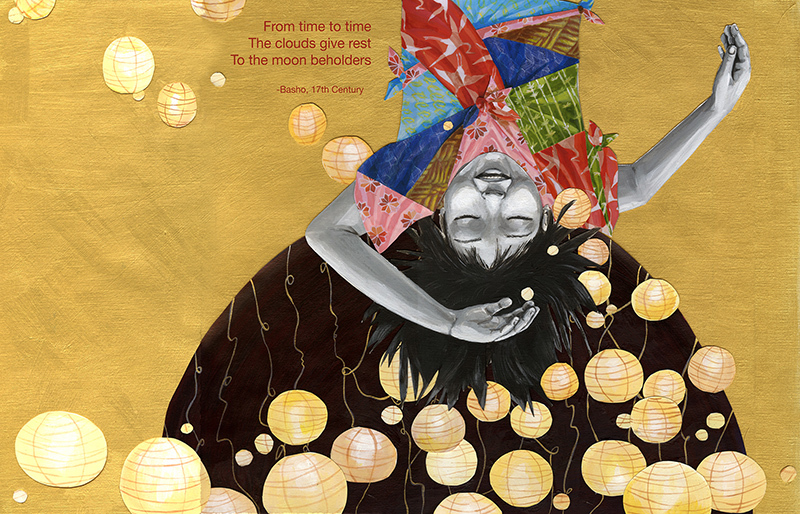 At 1PM and 3PM don’t miss Star in a Glass Jar, a winter-time story performed through kamishibai (paper drama), a Japanese art form of storytelling. The story is about an incredible adventure of one child’s letter with no address which finds its way to the other side of the world. Paper character craft to follow performance. Photos by Russell Kitagawa, Richard Murakami, Tsuneo Takasugi, and Caroline Jung. Celebrate the New Year and the Year of the Horse at JANM! Ring in 2014 with a FREE fun-filled day of exciting cultural performances, special foods, and fun crafts! FREE admission all day on Sunday, January 5, 2014 from 11AM – 5PM. From 12PM – 5PM, world-renowned candy artist Shan Ichiyanagi returns JANM! Watch as he makes horse & other special candy sculptures! These sculptures will be for children on, and candies will be raflled off throughout the day. From 12PM – 2PM, learn how to make onigiri rice balls and participate in our Onigiri Design Contest, presented by Common Grains! 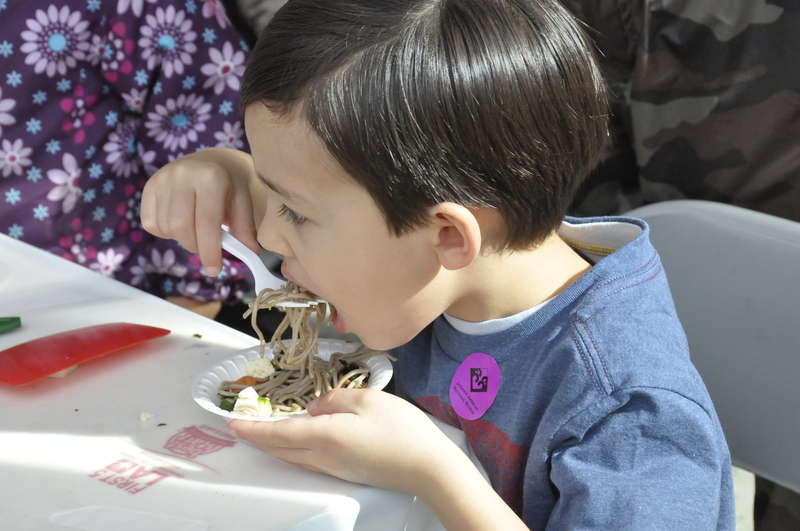 From 1PM – 5PM be sure to try some lucky zaru soba (buckwheat noodles) with Kidding Around the Kitchen. From 1PM – 5PM you can also meet and ride some real live ponies in celebration of the Year of the Horse! Don’t miss Kodama Taiko at 2:30PM & 4PM as they perform a demonstration of mochitsuki, a traditional rice cake pounding ceremony. Mochi samples will be passed out at the end of the performance! For JANM members, there will be a special gourmet osechi-ryori tasting from 12PM – 1PM where members can sample traditional Japanese New Year foods, while supplies last! The day will also include all-day activities such as a horse bounce house, a toddler room where our youngest guests can hang out, Fukubukuro (lucky bag) sale at the Museum Store, and fun horse crafts. While you’re here, be sure to check out the Marvels & Monsters: Unmasking Asian Images in U.S. Comics, 1942-1986 (through February 9, 2014) and Go For Broke: Japanese American Soldiers Fighting on Two Fronts (through March 2, 2014) exhibitions. Stay tuned for a special series of Oshogatsu blog posts that will explore some of the cultural activities in more detail! You don’t have to wait to enjoy holiday fun at JANM! 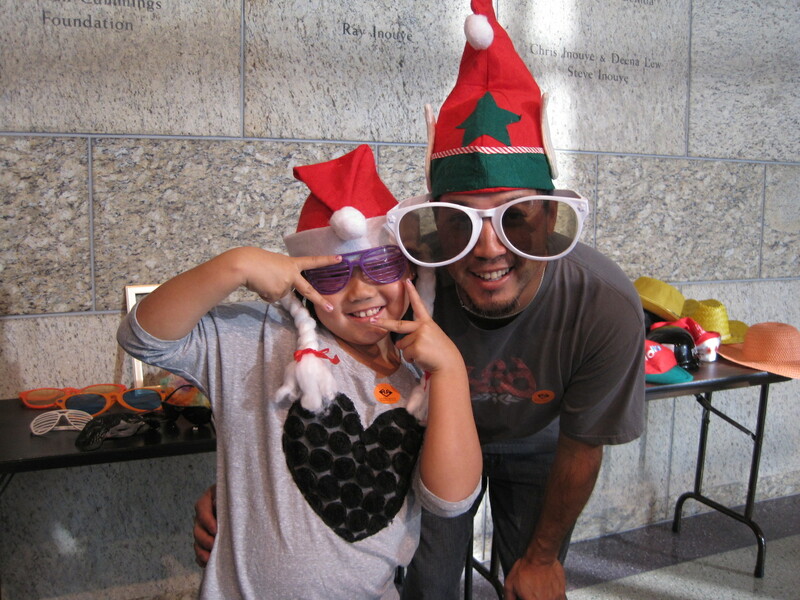 Join us for Target FREE Family Saturdays: Winter Wonderland on Saturday, December 14 from 11AM – 4PM. 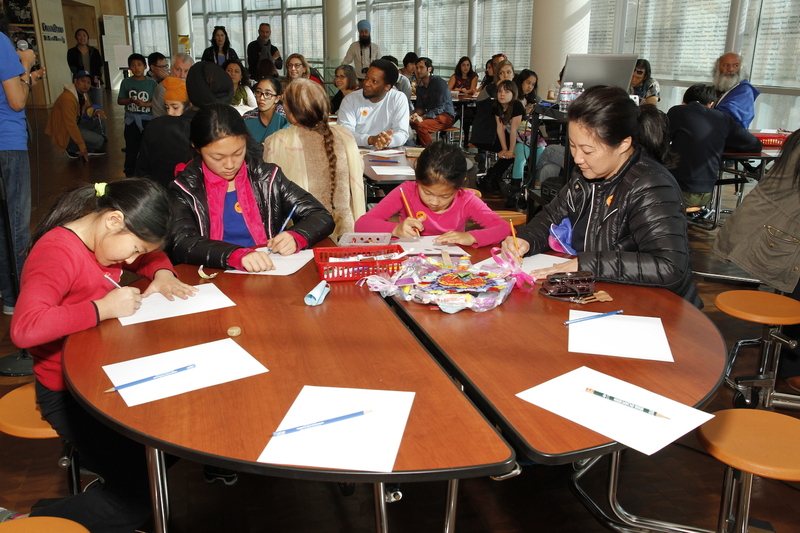 It’s a Winter Wonderland of seasonal crafts & activities including photos with Asian American Santa, a horse-drawn carriage, kamishibai story-telling, and more!